In Part 2 of our series : "Creating A DRM Workflow" we will take a look at using 3rd Party Encoding solutions to provide DRM encryption. It’s very common in the Media and Entertainment space for an operator to use a 3rd party encoding solution for a variety of reasons. Primarily the ease of deployment and broad range of formats and profiles tend to top the list of compelling reasons to use a 3rd party encoding platform. Typically a 3rd party encoding solution will come as an appliance with specialized software running on dedicated custom hardware in the 2U configuration. These encoders will come with a variety of input connectors for SD and HD content input, network ports and monitoring outputs. Depending on the application you should be able to find one vendor that covers all the formats and flavors of DRM that you need. The only real critical buying point you need to consider is whether you are going to be doing live or VOD content delivery or both. 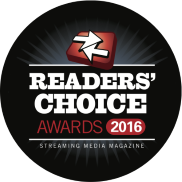 More often than not, enterprise encoding solutions are dedicated to either live or VOD content but rarely both. As a dedicated 3rd party encoder, each platform will have its own software layer used to manage the different encoding settings, input formats, output formats, cueing, resource management and of course, the application of DRM. A robust encoder will have a dedicated UI section for selecting and managing the DRM functionality of the encoder. This should include being able to select what types of DRM you need and what DRM provider you want to use. 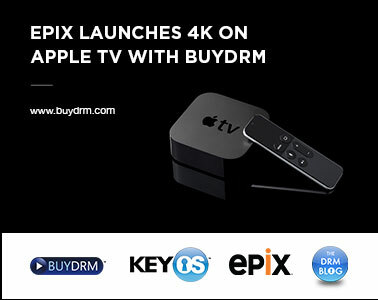 Accommodating DRM providers inside a 3rd party encoder is not an easy task. 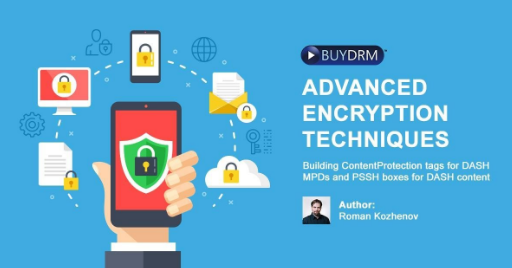 To support encryption using a 3rd party DRM platform, an encoder provider needs to implement AES 128 bit encryption in their encoding workflow and to do so they need a way to input encryption keys to support this encryption process. There are several approaches to doing so. The encoder provider can provide a manual interface where an operator can manually type in the key information from the 3rd party DRM provider. This method is the low hanging fruit per se in applying encryption in an encoding workflow. It’s not secure and requires human intervention to make the process succeed. The encoder vendor can provide their own APIs for delivering keys to the encoder and rely on the DRM vendor to implement their API. This method is cumbersome in that having an encoding company define to a DRM vendor how to create, implement and manage encryption keys is really the tail wagging the dog. Very few encoding vendors have taken this approach and it’s not a widely supported or viable model for the reasons described above. The most popular model for supporting 3rd party encoders providing encryption within their workflow is to implement a DRM providers Key Management API for Encryption Keys. To support robust, secure, automated key management, the encoding vendor writes code that uses industry standard methods of communicating (typically SOAP) to securely poll the DRM provider’s platform for the encryption keys. In this model, the customer is given a Server Key or User Key from the DRM provider and they input this information into a DRM Provider tab or section inside the encoding platform’s user interface. The encoding software then remotely queries the DRM provider’s Key Management API and the encryption keys are then generated and encrypted and delivered over a secure SOAP connection to the encoder. The encoder then securely stores these keys within the platform and uses them for the Live or VOD encryption during the encoding process. All of this happens in less than 2 seconds as the encoding process kicks off. How does the encoder handle the management of encryption keys i.e. 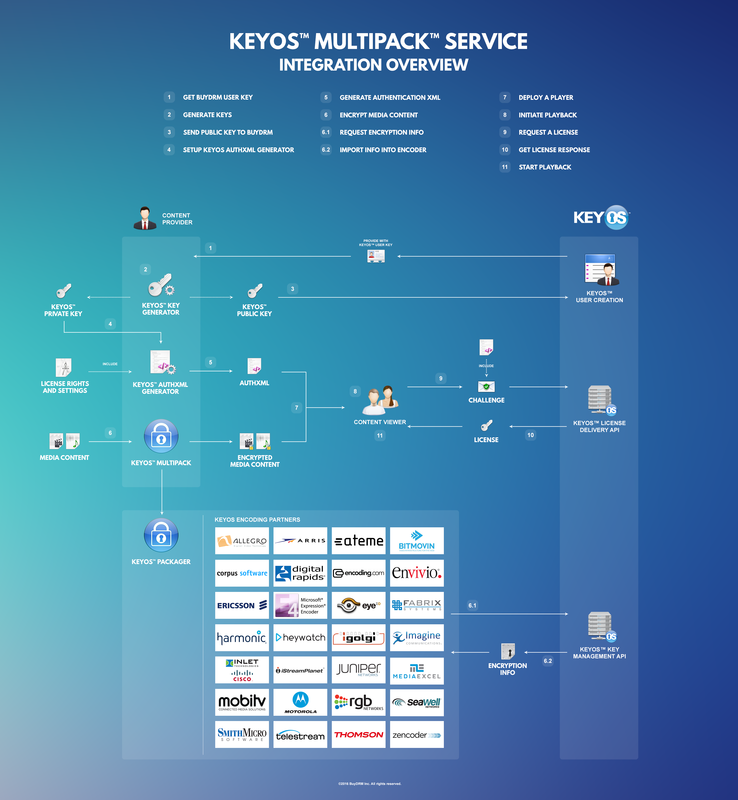 is it a manual or automated process and how are the keys stored and used locally? Does the encoder support the various formats that your enterprise will use to deliver content to your users? The most common formats are Microsoft Smooth Streaming, Pantos Spec HLS and DASH content. Does your encoder support the various DRM flavors you need to use to deliver content to your users? The most common flavors of DRM are Microsoft PlayReady, Apple FairPlay and Google Widevine. Does your encoder support Live, VOD and nDVR functionality? Typically a robust encoder will support live or VOD but not both and the nDVR functionality is more of an add-on to live encoding. How many simultaneous live encoding profiles does your encoder support for live encoding? Selecting and implementing a 3rd party encoder is no small task. You need to focus on the key areas of your deployment i.e. live or VOD and which DRM flavors and formats you need support for. If rack space footprint is an issue, make sure to seek out a 2U encoding solution as that is the standard within the industry. 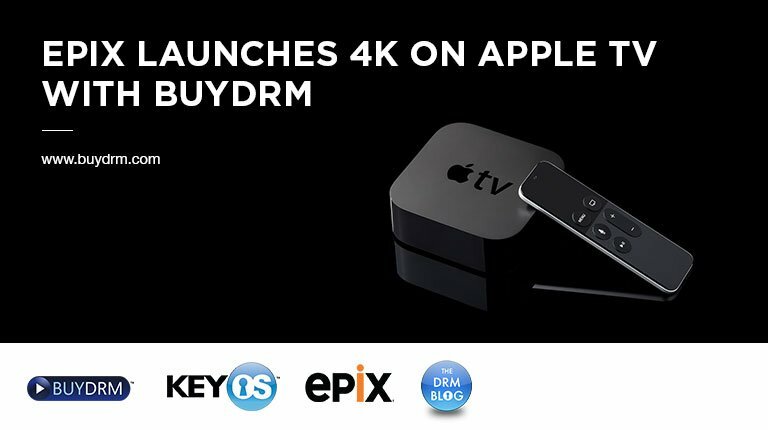 If you are going to be deploying encoders to scale for a large linear TV offering for example, you will want to consider an encoder that supports automated, secure encryption key acquisition and one which supports all the major formats and flavors with multiple live linear TV encoding processes. 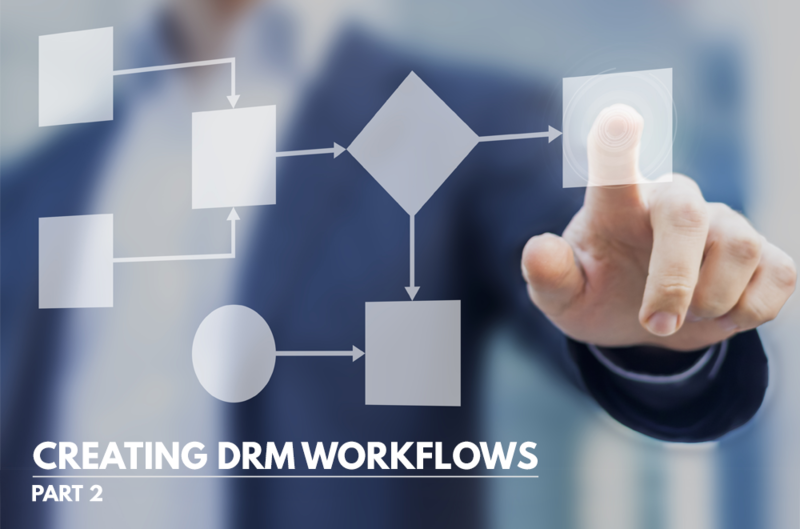 - In the next episode, Part 3 of our series: “Creating A DRM Workflow” we will review the various 3rd party Streaming Media Servers in the marketplace which support DRM in their offering.